Made of durable plastic, our 1" Custom QR Code Dice make a unique QR Promotional Product. These 1" Custom QR Code Dice feature your QR Code and design imprinted on one to six sides of the Dice. Custom QR Code Dice are white and are available with a black imprint. 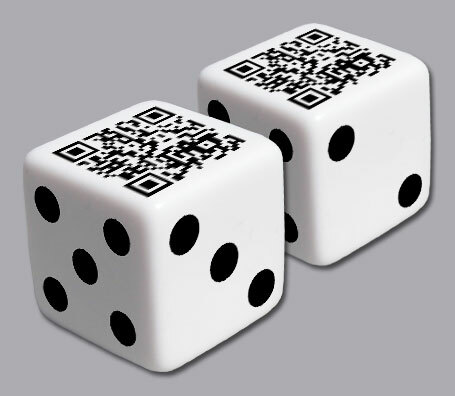 Pricing for Custom QR Code Dice – Includes Your Code(s) on 1-6 Sides!